Republican presidential candidate and Texas Sen. Ted Cruz sent some mixed signals on the nation's financial future Friday, largely contingent on whether he wins the presidency. If he wins, he's predicting that the U.S. economy would grow by at least five percent under a Cruz administration. "My object is a minimum of five percent GDP growth," Cruz, referring to the country's gross domestic product, said in an interview on CNBC. Attacking naysayers who have said that such a promise sets an unreasonably high bar, Cruz went on to explain that John F. Kennedy, "when he campaigned, he campaigned promising five percent GDP growth." "And he ended up producing five percent GDP growth," the Texas senator said. Both Cruz and GOP front-runner Donald Trump have set the goal at five percent, with the New York billionaire expecting that his stint in the White House could produce anywhere from a five to six percent growth in GDP. In comparison, Jeb Bush, when he was still in the race, had a target of four percent GDP growth. Among Democrats, Bernie Sanders has promised 5.3 percent economic growth -- a pledge knocked down by even President Obama's former top economic advisers. On the flip side, during his hour-long chat with CNBC, Cruz also predicted that "a crash" will result from the Federal Reserve's policies. 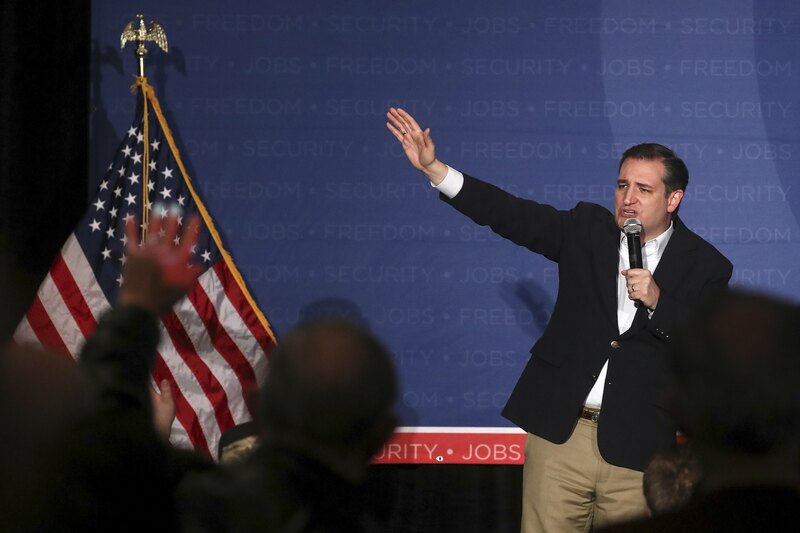 "The Fed has, for those with assets, driven up stock prices," Cruz said. "But that's not built on anything real. It's not built on an increase in the intrinsic value of those assets. That's just playing games with money, which means a crash will be coming." Earlier, Cruz had pointed to the problem of "using monetary policy to juice the system" as a surefire way of creating market "bubbles." Since the financial crisis, the Fed has kept interest rates close to 0% to try to spur the economy, to make it easier for businesses to invest and consumers to borrow. But under these conditions, savers, who get little-to-no return from their bank accounts, put their money instead into the stock market to try to boost their returns. This is what's behind Cruz's bubble prediction, though the Fed and economic analysts largely disagree. "This is an economy on a solid course, not a bubble economy," Ms. Yellen said earlier this month, and she said that the economy has made "tremendous progress" since the financial crisis. Responding to some of Trump's charges that the Texas Republican has been in bed with Wall Street's moneyed interests, Cruz said: "If you look at who Goldman [Sachs] is supporting it ain't me." Before Cruz launched his presidential campaign, his wife, Heidi Cruz, worked as a high-level manager at Goldman Sachs. Cruz, just days away from New York's GOP primary on April 19, acknowledged that Wall Street does play an "important and valuable" role. But, he said, "it shouldn't be the case that Wall Street plays in rigged casinos, 'heads I win, tales I win,' where Wall Street can gamble with other people's money and the government bails them out if they lose."